Sometimes life throws you unexpected curveballs, leaving you with the task of cleaning up the aftermath. If your walls have sustained any amount of damage due to storm damage, settlement cracks, water staining, something breaking through them, or just years of old paint and or cracking give Griffith Construction, Inc. (Griffith Handyman) a call. Griffith Construction, Inc. (Griffith Handyman) is your local Sheetrock repair company. 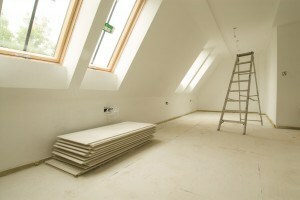 We specialize in all of your commercial and residential sheetrock repair and drywall repair needs. 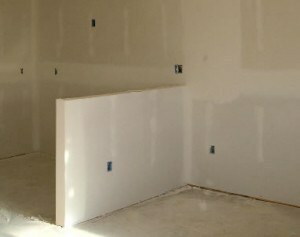 Our crews have been trained and are skilled in all forms of repairs and techniques for sheetrock and drywall repair. You may be apprehensive to try a different sheetrock repair company in, even if your current contractors work is just not up to par. You may be tempted to try a construction company that advertises incredibly low prices in the coupon mailers. 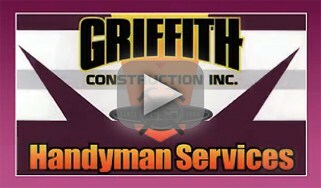 Before you make a move, take a look at Griffith Construction, Inc. (Griffith Handyman). We are proudly locally owned and operated since 1999. We didn’t just set up shop like the other franchise construction companies specializing in Sheetrock / Drywall Repair. Over the years, we have established a loyal customer following. We understand that our customers live within certain budgets. That’s why we work with them to develop a plan based on their needs and budget. We offer various specials on all of our Sheetrock / Drywall Repair services.